Will there be federal funds to restore The Grand River in the Trump era? 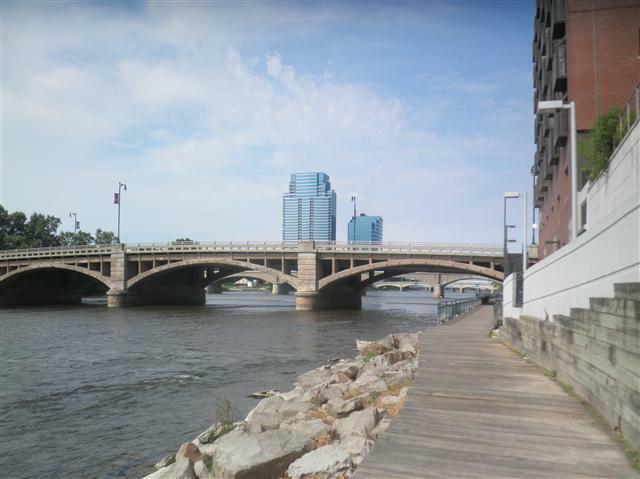 Organizers of a plan to restore areas of The Grand River in Grand Rapids are waiting to learn more about the future prospects of procuring federal funding to help pay for the project. 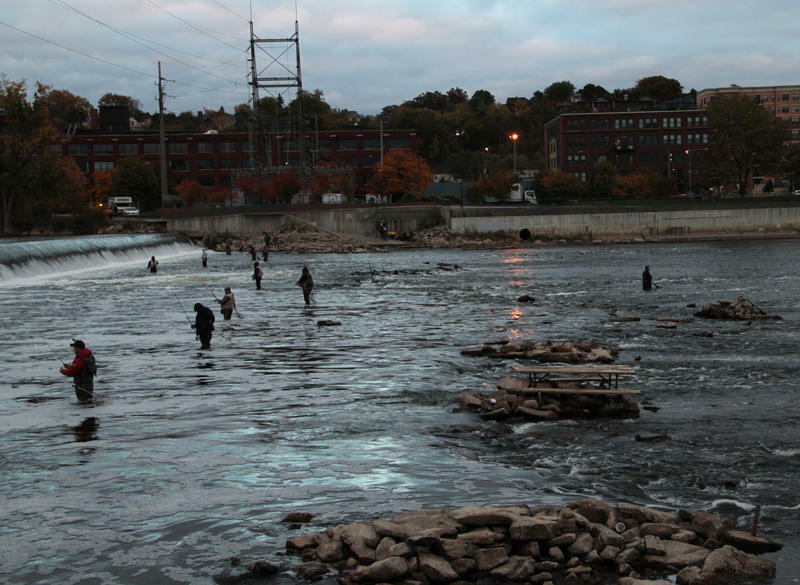 Grand Rapids Whitewater is the non-profit group leading the projected $35 million project to remove old dams and restore The Grand River’s natural rapids. Once completed, the group says a restored river could generate between 15.9 and 19.1 million dollars a year through expanded recreational use of the river. To complete the project, Grand Rapids Whitewater is hoping to use a mix of local, state and federal funding. Chapman says Grand Rapids Whitewater has raised roughly six million dollars from local private-sector donations and commitments. The project got its first dose of federal dollars – about four million – from the USDA earlier this year. In 2013 The Grand River was designated as an Urban Waters Federal Partnership location, something Chapman says has helped create partnerships with government agencies that he hopes could lead to funding opportunities in the future. Ultimately, the amount of funding available depends on the size and shape of the federal budget. Chapman says his group has recently applied for grants funded by the Great Lakes Restoration Initiative, which President Trump has proposed deeply cutting in his budget plan. However, Chapman says it’s “encouraging” that bipartisan members of Congress representing Great Lakes States have opposed the cuts. The ultimate goal of restoring The Grand River is still a ways off. According to Chapman, Grand Rapids Whitewater hopes to have all of its necessary permits submitted within the next year. “We’re really hopeful that by 2018, 2019, we could start with some of the earlier phases of construction,” Chapman said. Construction could last three to four years. 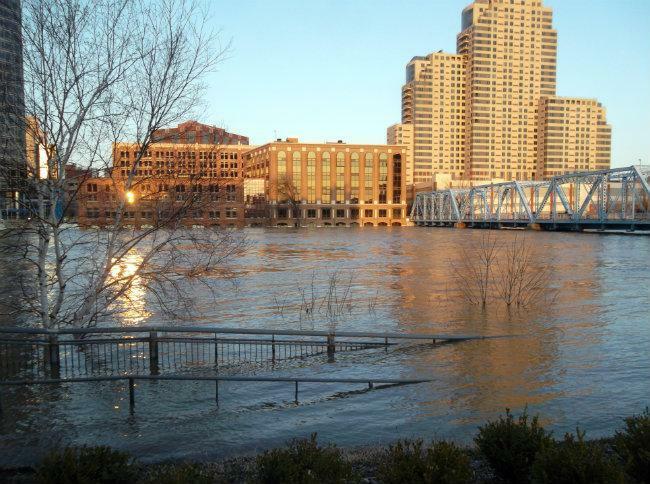 GRAND RAPIDS, Mich. (AP) - Experts in flood management will get a firsthand look at flood-prevention efforts in Grand Rapids during a nearly weeklong gathering. The National Association of Floodplain Managers Conference starts Sunday and runs through June 24. More than 1,200 visitors are expected to attend. They're being offered a chance to check out the Grand River and its floodwalls, see projects taking place to improve the floodwalls and learn about efforts to restore rapids to the Grand River and improve recreation. An effort to restore the rapids to the Grand River in Grand Rapids is slowly making progress. The rapids that gave Michigan’s second-largest city its name are long gone. The plan is to remove a few old dams, add more natural boulders and improve land along the riverfront. “The exact date of construction is unknown,” said Jay Steffen, an assistant planning director for the city. When Mother Nature gives you a wonderful gift like the Grand River, you'd be mighty smart to make the most of it. And Grand Rapids is getting ready to show some real love to the Grand River. Much the way Detroit is working to improve its riverfront, Grand Rapids wants to make better use of its own river.